Olsun Electrics is a leading provider of transformer manufacturing in America. For over 60 years Olsun has been designing and manufacturing diverse transformers of high quality to ensure their capability of solving their clients unique needs. EquipNet is continuously receiving used Ulson Electronics equipment through our exclusive contracts with our clients. 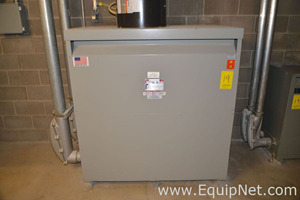 Our inventory includes but is not limited to Olsun Electrics 7480 550KVA Transformer. If you do not see the Olsun equipment you are looking for, contact one of our representatives and we will find it for you. We can also source the right tooling and change parts that you need through our huge network of corporate clients from around the globe.